The Solicitors Regulation Authority (SRA) has rejected potential alternative business structures (ABSs) on the basis that the aim was really to continue illegal referral fee arrangements, it emerged this week. Speaking at this website’s PI Futures event in Manchester, SRA executive director Richard Collins said there was nothing wrong with joint venture ABSs where the referrer takes out their money in the form of profit. 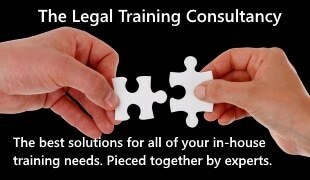 Mr Collins advised that firms need to think beyond simply complying with the ban as set out in the Legal Aid, Sentencing and Punishment of Offenders Act 2012, and “place any arrangements in wider context of handbook”, such as acting in the best interests of clients. He described arrangements were there is a breach of the Act and clear detriment to clients as a “toxic combination”, giving examples such as hidden commissions around legal expenses insurance and paying damages direct to the introducer to make deductions before passing it on to the client. 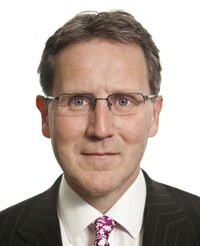 Until now the SRA has generally found breaches of the ban as part of other supervisory work – there is only one formal investigation underway, with a handful of others heading towards that stage – but Mr Collins said the regulator was finalising how it will run a “major thematic push” to see how firms are coping with the ban. This will involve seeking information from and visiting a “subset” of the 900 firms heavily involved with referrals that it initially contacted in March. He confirmed that there will be information sharing with the Claims Management Regulator, which has recently contacted around 150 claims management companies (CMCs) for details of their finances and agreements with law firms. He said this will be “incredibly important” intelligence that may throw up arrangements with solicitors that the SRA has not picked up, particularly at a local level. Andrew Wigmore, policy director of the Claims Standards Council, told delegates that there were a group of CMCs that have “gone underground” and are selling claims for as little as £100 in the belief that they will not be in business for much longer.